R J Associates... Helping you maximize the web! 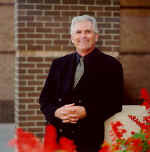 John Russell, is an entrepreneur and president of R J Associates, based in Grosse Ile, Michigan. He founded the company in July 1997, but its roots go back to 1985. He has worked with a wide variety of Individuals, businesses and organizations in his professional career. John has an innate ability to take complicated and confusing topics and make them practical and understandable. John has over 30 years of sales and marketing experience in management roles and inside/outside sales. He has a Masters Degree in Management from Walsh College in Troy where he has worked as an adjunct professor in traditional, Internet and interactive marketing. John has served the Southern Wayne County Chamber of Commerce, as a member of the Board of Directors, Moderator of the Technology Group and Chairman of the Small Business Committee. His program on "Web Site Re-Engineering" received top marks at the Internet World Conferences in Los Angeles, Chicago and New York City. In March of 2000, John took his program internationally to Internet World Asia in Singapore. He added "Small Business and the Internet" topic to the 2000 Los Angeles and New York Internet World lineup, and added IW-Toronto to the list in 2001. He was invited to speak three times (once as a keynote) at Internet World in Buenos Aires Argentina in August 2001. In addition, he participated in "E-Business 4 Small Business" in Las Vegas and Des Moines Iowa, sponsored by Iowa State University in 2001. John completed his 5th year at Internet World at 2003 Spring Internet World in San Jose, CA. He partnered with Key3Media to produce "E-business for Small Business" at the 2001 Spring COMDEX in Chicago, where he served as Program Chair, moderator and speaker at one session. John brought a similar program to Internet World in Los Angeles and New York City in 2002, producing the program in cooperation with Penton Media. John has spoken on e-business and e-marketing concepts to a variety of groups like the International Association of Business Communicators, the Adcraft Club, Comerica Bank, as well as programs co-sponsored with Microsoft Corporation. From 2003-2011, John was the senior pastor of a small church in the downriver area, where he led the congregants into deeper understanding of their spiritual relationship with God and others. This was his second foray into ministry, and also taught a large adult Bible class at a third local church for several years. In July 2012, John returned to his retail roots and is currently Appliance & Kitchen Department Manager at Lowes Home Improvement in Woodhaven, Michigan. John currently is available on a consulting/contractor basis for individuals, small businesses, and churches. How can he help you move to the next level?